Red die with white dots against a blue background; image by Jonathan Petersson, via Unsplash.com. As states begin legalizing online casino gambling, the industry is seeing a revival in the U.S.
Internet gambling has never been as popular as it is right now, with millions of people around the world enjoying the chance to wager, and perhaps win some cash, on everything from sports book betting and virtual bingo to online slots and table games with live dealers. As the competition for new customers is so fierce, many online casinos strive to stay ahead of their rivals by offering exciting welcome or ‘sign-up’ bonuses to new players. These usually involve incentives such as a number of free spins on signup no deposit, and are designed to attract someone looking to try out a casino to their site. Despite the hard sell and amazing offers, the reality is that not everyone has an equal chance of taking advantage of these offers – generally because they happen to live in the wrong place. This is something players resident in the U.S. will experience quite often; having perhaps come across an offer mentioned online and navigated to the site to learn more, only to find that they are not allowed to sign up based on their geographical location. There’s no doubt that this is a frustrating experience, and it’s one made more so by the confusion over how laws on gambling are interpreted and enforced across the U.S. The problems started back in 2006 when the controversial Unlawful Internet Gambling Enforcement Act (UIGEA) was passed, and things have basically been in a state of confusion ever since. As each state was free to impose its own restrictions, things get even murkier, and the end result was that the majority of online casino sites simply stopped American residents from joining, or if members already, from playing. 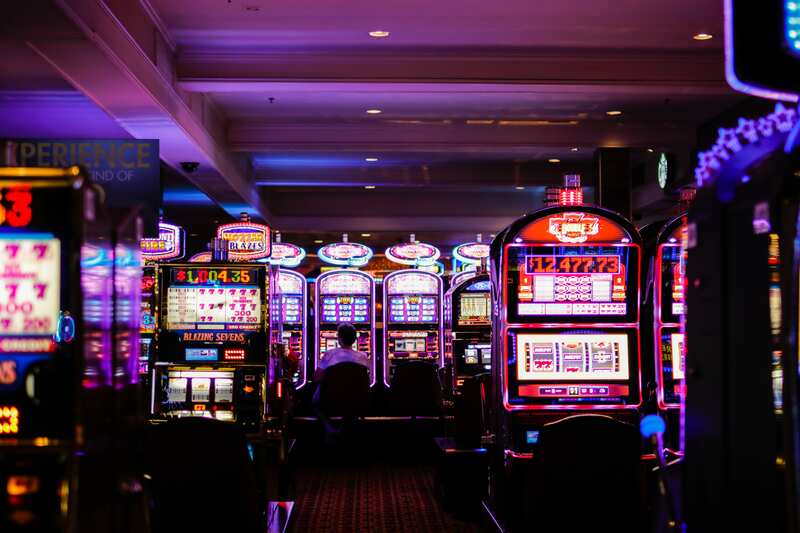 Banks of slot machines; image by Benoit Dare, via Unsplash.com. Not all forms of gambling were outlawed, with interstate lotteries and fantasy sports games being notable exceptions, but the confusion basically killed the American online casino trade stone dead. There is not, and never has been, a federal law banning online gambling in the U.S., and the government mandate has rarely been used, perhaps because the options for potential online gamblers had already been withdrawn in the confusion. Rather than chase citizens, the government went after support services such as payment processors, consequently making it difficult for casinos to survive. Americans were completely free to join and play at online casinos with headquarters and offices based outside of the U.S. – presuming they could find one to accept them. The good news though is that things are changing. Online casinos in the USA in 2019 – how’s play? Four states have now made U.S. online casinos legal – Pennsylvania, Delaware Nevada and New Jersey, and the number of sites worldwide which once again accept U.S. players is growing. Some in the industry believe this will grow to produce nearly 100 billion dollars in revenue in the next five years! There’s definitely more choice out there for U.S.-based players, so if you are looking for an online casino to join make sure you can play for actual cash, and keep anything you win – and if you find the outdated barrier in place simply click and move on.